Mozambique is Southern Africa's tropical paradise travel destination, with pristine shores and remote islands for the ultimate beach vacation. Located on the eastern coast of the southern half of the continent, Mozambique is characterized by its tropical nature. Though the country is quite extensive in size, its tourism base is essentially focused just off shore on the myriad islands and the brilliant waters that encircle them. The top destinations in Mozambique are two island groups known as the Bazaruto Archipelago and the Quirimbas Archipelago. Both are made up of a number of small tropical islands washed by the crystal clear waters of the Indian Ocean. If an unforgettable beach vacation appeals to you, Mozambique offers some wonderful options. Major islands include Bazaruto, Benguerra, Magaruque and Santa Carolina. 32 pristine islands with a rich Arab trade route history and magnificent beaches. As with its top destinations, most other destinations in Mozambique are dedicated to the worship of sun, sea and sand, with Gorongosa and Niassa being the only national parks currently recommended by African Sky for a unique safari experience. Vilankulo is one of Mozambique’s major coastal cities. 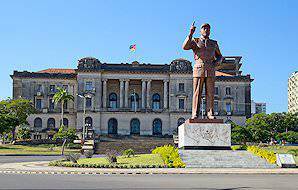 A tourism injection has seen the town thriving in post-civil war Mozambique. 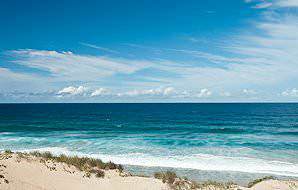 Though it is typically used as a gateway to the Bazaruto Archipelago, it is in itself a popular beach resort area with many fine hotels and handsome, sandy stretches along the shores of the Indian Ocean. Inhambane is one of the least commercially developed tourism areas in Mozambique. Though the city itself is a short distance inland, the most significant sites are but a short drive through breathtaking palm tree forests and rural beauty. The waters around Tofo and Barra are among the finest in the world to encounter whale sharks and manta rays. Gorongosa National Park is nestled in the heart of the country. Since restoration began in 2004, several lion prides have repopulated the park’s predator force. Great herds of elephant are also frequently encountered, with other large herbivores such as buffalo and wildebeest being gradually reintroduced into the park’s ecosystem. Pemba is a port city in northern Mozambique. The city is located on a peninsula in Pemba Bay, one of the world's biggest natural harbors. Pemba is the gateway to the Quirimbas Archipelago. It is a great beach destination, with Wimbi Beach being specifically notable as one of the finest beaches in Mozambique. The Niassa Reserve was founded in 1954 when Mozambique was still a Portuguese colony. It is a large conservation area, 42 000 square kilometers in size, located in the far north of the country. It is home to about 16 000 elephant and protects a wild dog population of 350, which is quite significant as the total number of these animals left in the wild number only 8 000. Maputo is the capital city of Mozambique. It has a population of just under 1.8 million people and is primarily a port city. The city is the gateway to the attractions and destinations of southern Mozambique. The city has a long and colorful history. The initial settlement developed around a fort built by the Portuguese in 1787 was destroyed by locals and subsequently rebuilt from around 1850. Ilha de Mozambique is emerging as one of Mozambique's most interesting destinations. It has a rich history, having served as an Arabic boat building center prior to being visited by Vasco da Gama in 1498 whereafter the Portuguese established a port and naval base on the island. It served as the capital of colonial Portuguese East Africa until 1898. The island currently has a population of about 14 000. The Portuguese name Ponta D'Ouro - which translates to 'tip of gold' - is the largest town in the far south of Mozambique. It is a destination known for its fine beaches, fishing, reef diving and the many dolphins that can be spotted just off shore. The town is best accessed from the Kosi border post between Mozambique and the South African province of KwaZulu-Natal. A vacation in Mozambique will involve lazy days spent unwinding on the beach as well as unforgettable adventures in and on the Indian Ocean. Our popular pre-planned itineraries have been tried and tested for maximum enjoyment. Each visitor has their own particular needs - let us plan your dream trip for you. Due to the Mozambique Current that flows south between the continent and Madagascar, the water is sublimely warm year-round, ceding hours of unwinding in the lull of the ocean. Enjoy your breakfast watching the sun spill its gold onto the Indian and delight in exotic seafood dinners under a canopy of infinite stars. 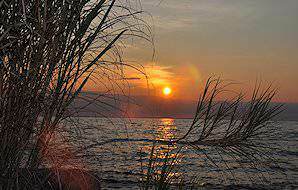 Replace the whine of the traffic with the whisper of the sea on the shoreline. Leisure activities can range from cooking lessons in local flavors, island picnics, horse-riding on the beach, deep sea angling, snorkeling, various water sports and excursions to prime diving locations (all depending on your elected resort). Whether you fancy spending your afternoons bronzing on the beach, relieving your urban burden in the spa or exploring all the treasures the natural surroundings have to offer, the experience is sure to be unforgettable. Mozambique is a seafood mecca. The prawns sourced from these waters are widely revered. Bathed in garlic lemon butter (or a sauce of your choice), it is not uncommon for visitors to gorge themselves on prawns until they need to be rolled to bed. Crayfish (rock lobster) is the other esteemed favorite. Typically, however, if it is fresh and from the sea, it is delicious. Calamari, barracuda, fish of the day – the seafood is indelibly tasty. The top destinations in Mozambique are remote and it may take quite some time and expense to reach them, but their secluded qualities are what makes them so appealing to the world-weary. Many reefs and beaches have hosted only a handful of visitors over the past few decades. This is where you go to truly get away from it all and unwind. Vilankulo is a coastal town in the Vilankulos District of the Inhambane Province. Dhows travel between the town and the Bazaruto Archipelago. 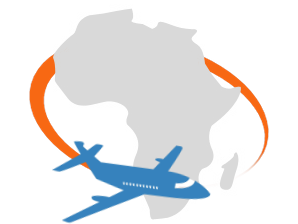 It is home to a relatively new international airport, which offers daily flights to several regional destinations, including Johannesburg, Maputo, Swaziland, and elsewhere. 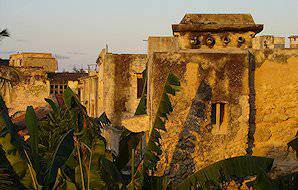 Pemba is the capital of the province of Cabo Delgado and lies on a peninsula in Pemba Bay. It is the closest major city and airport for those who wish to visit Quirimbas Islands and Quirimbas National Park. Mozambique's azure coastline stretches for almost 2000km. The tropical Mozambique current of the Indian Ocean runs along its length, warming the translucent waters. Despite the wide range of latitudes, the country generally follows a typical Southern African weather pattern, with the wet season occurring mainly between December and March. Humidity can be uncomfortably high during this period. Around April or May, the rain abates and the humidity drops. June to October is the dry season, with near-perfect tropical weather: clear skies, generous sunshine and barely any rain. 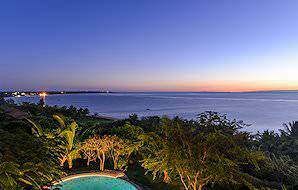 This is generally the best time to visit Mozambique. Although still tropical, June, July and August are Mozambique's coolest months; you many even need a light jacket in the evenings, despite temperatures exceeding 30°C (86°F) during the day. The period between September and October remains dry as daytime temperatures climb. As is often the case, November is a difficult month to predict, but generally it tends to become increasingly hot and humid just before the rains arrive. Visas are required for most visitors traveling from outside of Africa and can be obtained beforehand at your nearest Mozambican embassy or, for a higher fee, upon arrival at certain borders and airports. It is, however, recommended to acquire your visa preceding your arrival to avoid the queues or unforeseen red tape that may delay your travels. Many British embassies also receive Mozambican visa requests. Tourist visas are valid for 90 days following their issue and allow for a maximum stay of 30 days. As a precaution, it is advisable to obtain an antimalarial from your personal physician before entering Mozambique, as malaria occurs throughout the country. In more rural areas or northern regions, avoid drinking tap water or using ice made from tap water and rather opt to purchase bottled water. As of 2015, Mozambique has been officially declared free of land mines – initially a vestige of the civil war. Additionally, ensure that your routine vaccinations are up to date. These include measles-mumps-rubella (MMR) vaccine, diphtheria-tetanus-pertussis vaccine, varicella (chickenpox) vaccine and polio vaccine. The CDC also recommends vaccinations for typhoid and Hepatitis A, in case of exposure to contaminated water or food. The lodges used by African Sky, however, are of a world-class standard, and as a result the risk is fairly low. The island lodges are so far-flung, criminals would be very hard-pressed to reach these remote outposts. Nevertheless, if you are traveling with items of considerable value, secure them in your in-room safe or ask reception to store it for you for the duration of your visit. Should you find yourself in a busy urban center in between transfers (i.e. at the airport in Vilankulo or Pemba), keep your personal items close to you and remain alert. When traveling to Mozambique, you'll relish the opportunity to savor some of the most pristine beaches, islands and coral reefs you're ever likely to encounter. 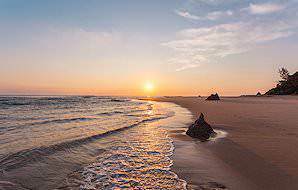 Mozambique is a coastal paradise, pure and simple. Mozambique is one of the world’s prime diving destinations, with PADI-registered dive centers thriving up the coast from Inhambane to Bazaruto, Pemba to the Quirimbas Archipelago. Most centers and resorts cater for every level of diver and offer various beginner and advanced courses. Snorkeling is just as popular and lucrative. Mozambique happens to be an angler’s paradise - its waters are abundant with game and sailfish. Chartered deep sea trips are easily arranged and standard for most resorts. Enjoy a memorable day out on the Indian Ocean with mackerel, kingfish, marlin, tuna, wahoo and barracuda dominating the finned pursuits on the menu. A dhow is a traditional lateen-rigged Arabian vessel with one or two masts, which is used chiefly amongst locals for fishing and transport between islands. Modern dhows are motorized, yet still offer very tranquil excursions. A leisurely dhow cruise at sunset is synonymous with the paradisaical nature of island life. Transportation in Mozambique is largely over water. As there are many extraordinary island lodges available for your indulgence, you will typically be ferried over in a dhow, powerboat, helicopter or light aircraft – depending on the distance. It is important to keep in mind that, the more arduous it is to reach your destination, the more expensive the transport is likely to be. However, the most far-flung destinations are often the most extraordinary. 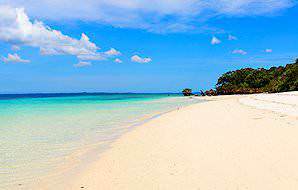 If you are able to afford it, it is worth it to venture to these pristine archipelagos. When charters of any kind are involved, luggage restrictions apply. Though 20kg soft luggage is standard, when it comes to boats and helicopters, each lodge may impose their own restrictions. Mozambican prawns are the foodstuff of dreams. These delectable shellfish are sourced fresh from the waters of the Indian Ocean, grilled in garlic and lemon butter or piri piri sauce and piled high for decadent consumption. Mozambicans like to make liberal use of coconut milk, as coconut trees grow in handsome groves all along the coastline. Coconut milk-based fare is popular, particularly a side of coconut rice as a delectable complement to seafood. The popular local piri piri sauce (used as a seasoning or marinade) is Portuguese in origin. It is made from crushed African bird's eye chillies and a variety of herbs and spices, and adds an exquisite, piquant depth to poultry and seafood dishes. Distilled from local sugar cane, Tipo Tinto rum is a firm (and outrageously affordable) favorite amongst locals and visitors alike. It is popularly served with Sparberry, a raspberry-flavored soda, but everyone has their preference. What activities are typically included in the package price? All non-motorized water sports are included in package prices. Some lodges will include one motorized sport - like snorkeling or scuba diving - per visit. Be sure to check beforehand. Will I have mobile reception and/or internet access? The lodges of Mozambique - particularly the island lodges - are quite far-flung. Mobile reception and internet access are therefore typically either poor or non-existent. Sit back and relax without the interruptions of constant connectivity. Will I have access to clean drinking water? All lodges have a generous supply of bottled mineral water available. As many of the lodges are quite remote, acquiring fresh supplies can be a costly affair. Reaching these far-flung destinations can also be relatively expensive, considering that helicopter, light aircraft or boat charters are often necessary. Mozambique is therefore unfortunately not the most affordable destination. If I am staying on an island, how will I reach it? Either by boat transfer, light aircraft or helicopter. Each lodge determines the mode of transport. How long should I plan to visit for? As Mozambique's beach lodges and islands can be quite cumbersome to reach, plan for a minimum of four nights and five days to take full advantage of your visit. While fantastic scuba diving opportunities abound up and down the coastline, the Bazaruto and Quirimbas archipelagos provide the finest. Can I go scuba diving if I've never done it before? 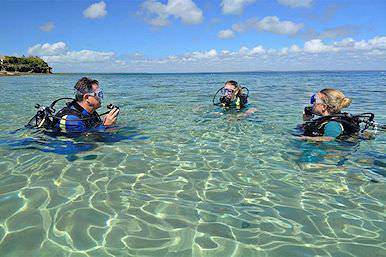 Many lodges offer beginner PADI-registered scuba diving courses - be sure to check beforehand. Can I go on safari in Mozambique? Though slowly on the recovery, the wildlife populations of Mozambique's national parks have been severely depleted due to rampant poaching and side effects of the country's civil war. In 2015, Mozambique was officially declared free of all land mines (a former vestige of the country's civil war). Travel to South Africa for a great value for money vacation in Africa. 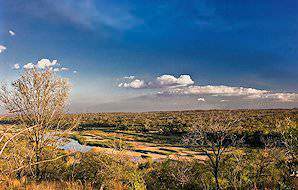 Botswana is Southern Africa's ultimate safari travel destination. Opt for a Namibia vacation for awe-inspiring landscapes and exhilarating adventures. Zambia's top travel destinations are Vic Falls and South Luangwa. A vacation in Zimbabwe will bring you up close to the spectacular Victoria Falls. Mozambique is a tropical paradise and incomparable vacation destination. Mozambique is a wonderful tropical island destination. The country offers some very exclusive retreats that are best visited outside of the rainy season and preferably for a minimum duration of seven nights to fully appreciate the tranquility and all the activities on offer. It is one of the most romantic honeymoon destinations in Africa. We discovered African Sky Tours online and found their entire service to be of a high standard. They were able to quickly tailor a tour to suit our requirements and itinerary. All pick-ups and transfers were present and punctual and tour guides were friendly. The vast majority of Mozambique's inhabitants are of African origin. The remainder of the population is made up of Europeans (mainly Portuguese), Indians, east Asians and 'mesticos' - people of mixed African-European ancestry. As is the case across much of the continent, the tribes living in Mozambique share cultural and linguistic similarities with their counterparts in neighboring states. The basic tribal pattern in Mozambique is a result of pre 19th-century migrations from the north and west, and the fleeing of people in the early 19th century from the violent Zulu Kingdom in South Africa. This has left a north-south split, with the Zambezi River as the dividing line. The tribes north of the Zambezi are predominantly agriculturalists and have matrilineal societies. The two largest tribes, the Macua and the Lomwe, who are concentrated in the Zambezia, Nampula, Niassa and Cabo Delgado provinces, make up about 35% of the total population. Another notable northern tribe is the Makonde, famous for their art, wooden statues and masks, who live on both the Mozambican and Tanzanian sides of the Ruvuma River. The tribes south of the Zambezi River are mainly cattle-rearing and have patrilineal societies. The most important is the Thonga, the country's second largest ethnic group, who are concentrated in the area south of the Save River and make up around 23% of the population. The majority of Africans in Maputo are Thonga. Meanwhile, most of the Sofala and Manica provinces are inhabited by Shona, a tribe whose numbers have grown due to migrations into Mozambique of Shona from Zimbabwe and South Africa. The finest locations for diving in Mozambique are in the Quirimbas Archipelago, accessed via Pemba, and the Bazaruto Archipelago, accessed via Vilankulo. These stunning slices of underwater Eden are protected as national parks and offer some of the best diving in the world. Diving in the Quirimbas means temperate waters and fantastic visibility, and sightings of pristine coral reefs, game fish like yellow fin tuna and marlin, healthy schools of barracuda, king fish, red snappers, green and Hawksbill turtles, and encounters with whale shark, pods of humpback dolphins and the Humpback whales in season. The diving sites are centered around the island lodges, like Medjumbe, Vamizi and Quilalea and the legendary St Lazarus Banks. The Bazaruto Marine National Park is also a scuba diver’s paradise, with crystal clear waters and a range of dazzling soft coral ridges and reefs to explore. The national park provides visitors with the opportunity to encounter a wealth of marine life, including sightings of dolphins, whales and the rare dugong. It is home to the famous Two Mile Reef, with its remarkable diversity, and Manta Ray Reef. The topography of eastern Mozambique is dominated by a low-lying coastal belt that widens from north to south to account for almost half of the country's surface area. The coastal plains rise gradually towards the west to meet a high plateau of 500m to 1 000m. Mozambique is generally characterized by relatively flat terrain, through much of the northwest is mountainous and several areas of the western plateau are dotted with isolated granite koppies. In the areas bordering Malawi and Zimbabwe, there are a few mountains that rise to an altitude of more than 1 800m. Mount Binga in the Chiamanimani Range on the Zimbabwean border is Mozambique's highest peak at 2 436m. Other notable mountains include the massive inselberg of Gorongosa (1 862m) in Sofala Province, Mount Domue (2 095m) near Braganca in Tete Province, Mount Chiperone (2 054m) near Milange and Mount Namuli (2 419m) near Gurue in Zambezia, and Mount Txitonga (1 848m) and Mount Jeci (1 836m). Fort Sao Sebastian is of great historic significance, as it is the only fully preserved fort in sub- Saharan Africa. It was constructed by the Portuguese on the Island of Mozambique. The construction lasted about fifty years and was completed around the year 1608. Machilla Magic is in the coastal city of Vilankulo. This community arts and crafts project is focused on bringing the best in local handwork to the international visitor from a central location. If you are in the area, some fine examples of uniquely local artistry and handiwork definitely warrant further inspection. At present, the work of more than fifty artists are displayed here. 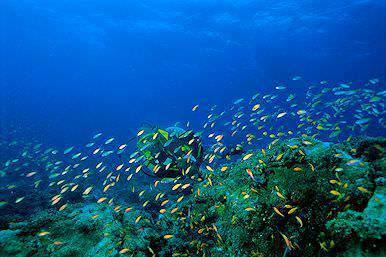 Two Mile Reef is located between Benguerra and Bazaruto on the Mozambican coast. It is one of the greatest diving destinations in the country. 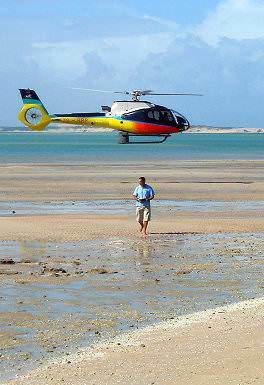 Protected in the Bazaruto National Park, the reef offers near-pristine diving conditions. The best months to dive in the region are between April and September. It is best to avoid the area between October and March when tropical storms may occur. A hive of activity, local flavors, sights and sounds sum up this vibrant marketplace. A very wide variety of products and produce is on offer here, from local fruits and vegetables to the catch of the day and a host of crafts and curios. Remember to barter for the various products on offer and, if possible, try to get prices from at least two competing merchants in order to ensure a fair deal. Designed by the famous creator of the Eiffel Tower in Paris, Gustav Eiffel, this strange dwelling, though a masterpiece in its construction and design, is not very practical in tropical climates. The house has been built entirely from steel. This includes the walls, roof and ceilings. A sight to behold, but not practical to live in when outside temperatures approach - and sometimes - exceed 40 degrees centigrade. Located about an hour south of the Mozambican capital city of Maputo, this unique 50 000 hectare reserve is dedicated to protecting the biodiversity and large mammal species found in the area. It should be noted that travelers will need a 4x4 vehicle when visiting the area from Maputo, for roads are often in bad shape or no more than two-lane dirt tracks. The main attractions found on Ilha de Mozambique, this four-hundred-year-old governor's residence originally held a Jesuit College. From 1700, it was exclusively used as a residence for the governors of Portugal until 1898, when the capital of Portuguese East Africa was moved to Lorenzo Marques, which was subsequently renamed to Maputo. The largely untouched beaches of Mozambique are some of the best places in the world to see a few different species of turtle. These include the Leatherback, Loggerhead, Green, Hawksbill and Olive Ridley turtles. Nesting normally starts in the last couple of months of the year and extends into the new year, with peak nesting season in March. Several of the hotels and lodges offer excursions to view these nesting sites. Visits are normally at night when the turtles come onto the beach for nesting purposes. Mozambique is a snorkeler's and diver's paradise. Soft coral reefs teem with a colorful melange of marine life, from angelfish and puffer fish to potato bass and sea turtles. A kaleidoscope of anemones and starfish complete the seabed rainbow. Depending on the depth and location of the dive, manta rays, stingrays, moray eels, and reef sharks are all on the close encounter list. Divers and snorkelers alike may also meet the majestic whale shark or the ever-inquisitive pod of dolphins. The calm waters of the Indian Ocean make it the ideal setting for skimming the surf as well. Sail in a colorful dhow like a local or explore the shallow reefs with kayak and paddle. Try your hand at navigating the wake of a boat on skis, a board or a tube. A beach holiday need not necessarily be spent lazing your afternoons away on the sand when the occasion for adventures is, in fact, beckoning at the shoreline. Mozambique happens to be an angler’s paradise, its waters abundant with game and sailfish. Chartered deep sea trips are easily arranged and standard for most resorts. Mackerel, kingfish, marlin, tuna, wahoo and barracuda dominate the finned pursuits on the menu. Several of the resorts in Mozambique offer a swimming experience with wild dolphins. In all cases, a strict code of conduct is adhered to ensuring no harm comes to dolphins during these interactions. Leisure activities can range from cooking lessons in local flavors, island picnics, horse-riding on the beach, deep sea angling, snorkeling, various water sports and excursions to prime diving locations (all depending on your elected resort). Whether you fancy spending your afternoons bronzing on the beach, relieving your urban burden in the spa or exploring all the treasures the natural surroundings have to offer, your experience will be characterized by utter relaxation. The traditional boats used by Arab traders in centuries past lend a different dimension when traveling between the various islands and the Mozambican coast. Whether you opt for an overnight trip, fishing from a dhow or simply enjoying a sunset cruise from one of the lodges found on the islands, this traditional method of travel on the Indian Ocean is sure to lend a sense of romance and authenticity to the experience. Gorongosa and the Quirimbas Archipelago - Ibo Island, more specifically - offer birders untouched natural areas with some wonderful bird watching. From the wading species found on the islands to the endangered Tyolo alethe and the stunning white-tailed blue flycatcher, both amateur bird watchers as well as experienced ornithologists will delight in the bird watching opportunities available in Mozambique. While enjoying the pristine beaches and watersports on offer in Mozambique, you are also likely to spot some whales between the months of June and November. The most common species encountered are the humpback and Southern Right whales, while those who are very fortunate may also spot the Baleen whale. The best areas for whale watching include the Bazaruto and the Quirimbas islands, as well as Pemba and Inhambane on the mainland. One of the primary reasons for visiting Mozambique is to come in contact with the amazing marine life found in these tropical waters. Whether diving or snorkeling, you are likely to see the rare dugong as well as whale sharks and manta rays. A great number of reef fish and even predatory fish species can also be viewed in these waters. Horse riding on the beaches of Vilankulo and on Benguerra Island offer a unique way of experiencing the pristine beaches of Mozambique. Mozambique Horse Safaris offers a range of different rides in these destinations. Some cater to novice riders and others to those with more experience in the saddle. A horse riding school is also available to those who are keen to get involved in this rewarding past time. The Bazaruto Archipelago comprises six islands of which two offer unforgettable island and beach vacations - Bazaruto and Benguerra. The Quirimbas Archipelago is one of the Indian Ocean's most pristine collections of islets and fantastic African travel destination.